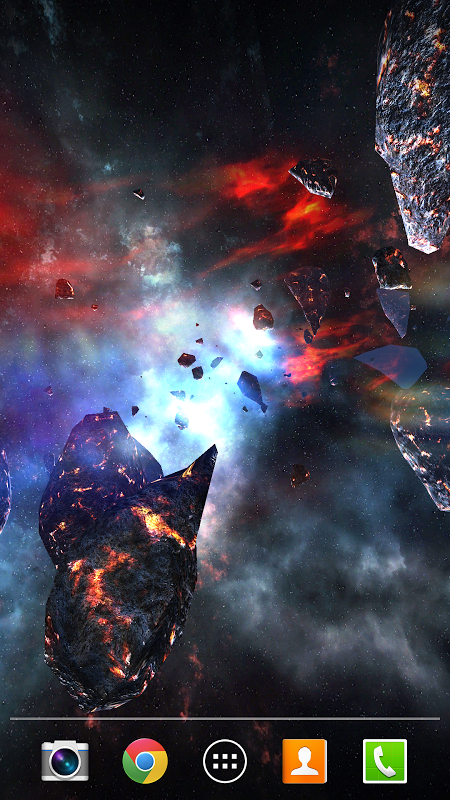 The space is dangerous ... and beautiful. In space there is no empty areas. 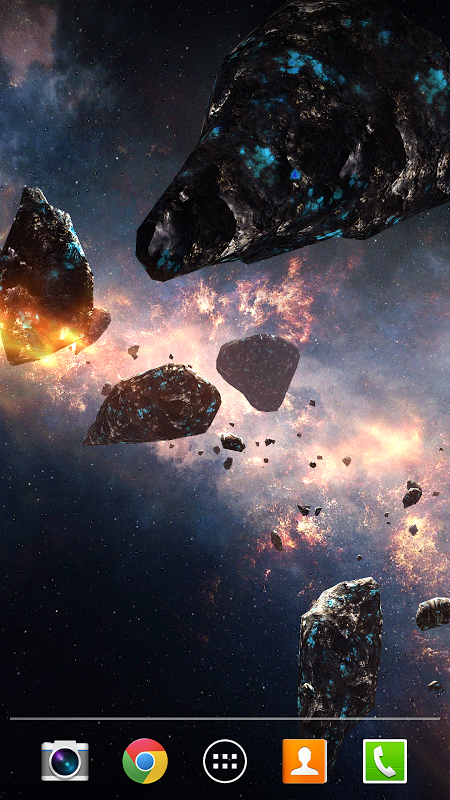 In the future, when humanity will be traveling through space, they will encounter many types of Asteroids. Part of them will serve as a source of rare minerals not available on the planet earth. 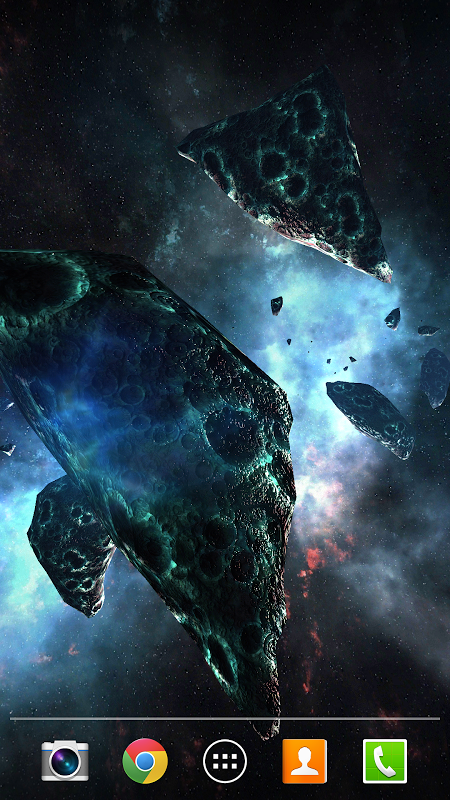 Some of asteroids can carry an alien form of life ...such as bacteria. 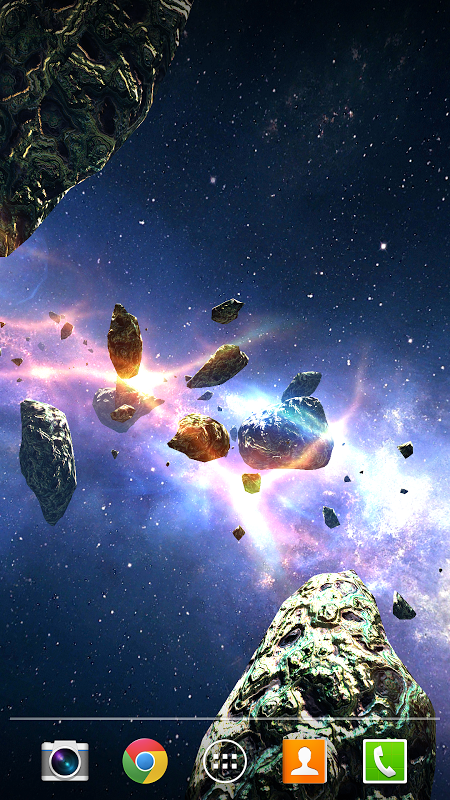 Check how the asteroid belt might look like and what minerals can be extracted. 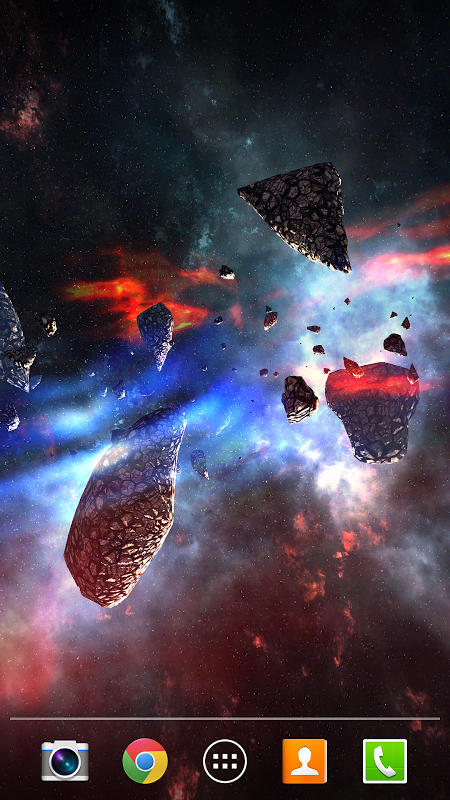 This live wallpaper includes many types of 3D asteroids. 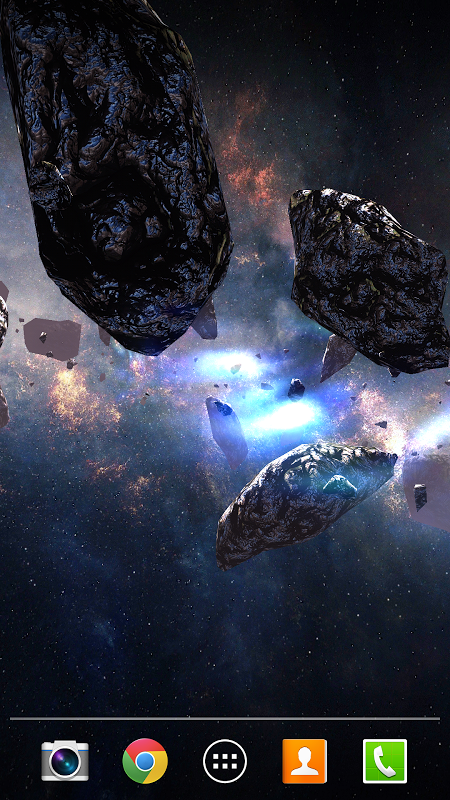 It has a dynamic camera that will take you between asteroids. Wallpaper has many settings that you can change. 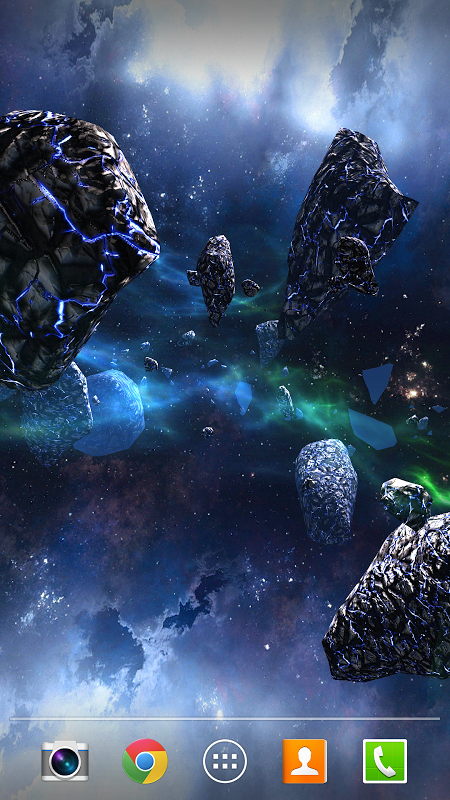 You can select and set the appropriate background nebula.You can also set the appropriate light in the space and the aura that surrounds the asteroid. All of these elements compose a single whole. Wallpaper is drawn in real time. Good lucks on the tablets and phones. Please Rate ! Thanks !  Is Asteroids Pack yours? Claim it!